Sell house fast West County, Missouri! We buy houses in West County and throughout the Metro West County area. Sell your West County MO house fast and hassle free! We can close with cash, fast! If your house needs repairs, no problem, we will buy it in it’s present condition. Even if you owe more than your house is worth, and you can be flexible, we may still be able to purchase your property using one of our debt relief programs. We also have the ability to work with your lender to achieve a “short sale” if your lender is willing. Call us first to sell your West County house fast! The satisfaction of your need for speed when selling your house depends on several key factors, the most important of which is the current market. Though you have no control over whether the market is hot or cold, it’s a good idea to be at least cognizant of how fast other homes are moving so that you can act appropriately to get your house ready to sell. In a buyer’s market, when there are more homes for sale than there are buyers, you’ll have to work extra hard to promote your house over the competition. A seller’s market, on the other hand, puts you in the driver’s seat, and there’s less work to do. It has been some time though, since we have seen a seller’s market. But don’t let that bother you. 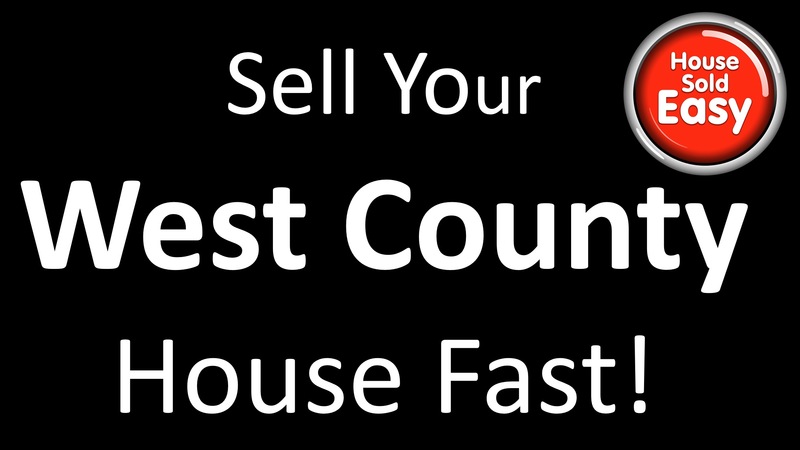 You can sell your West County house fast to HOUSE SOLD EASY! We provide honest solutions for West County house sellers who need to sell fast and investors looking to grow their portfolio for better returns. House Sold Easy is one of Missouri’s premier real estate investing groups because we focus on doing things right. We specialize in distressed single family houses (foreclosures, bank REO’s, sellers who need to sell fast). After we buy a house, the house is then remodeled and sold to a new home owner to love and live in. At House Sold Easy we believe our success is a result of the relationships we’ve built and our process in buying and selling quality houses. Houses that we buy tend to be the ones that aren’t the best looking in the neighborhood. So when we buy into an area, the community embraces us because we’re helping to beautify the community they live in as well.